Every month partypoker increases prize pools for the specific tournament in Power Series. Special Edition tournaments are giving you even more reasons to participate in Power Series. Power Series brings you every week $6M in guarantees and tournaments with buy-ins starting from just $0.22. With Special Edition, every month there will be one tournament with drastically bigger prize pool! This week, there is a $33 tournaments with $150.000 in guarantees. Tournament starts today at 7 pm. Try not to miss it, because it is a really great opportunity to score huge! 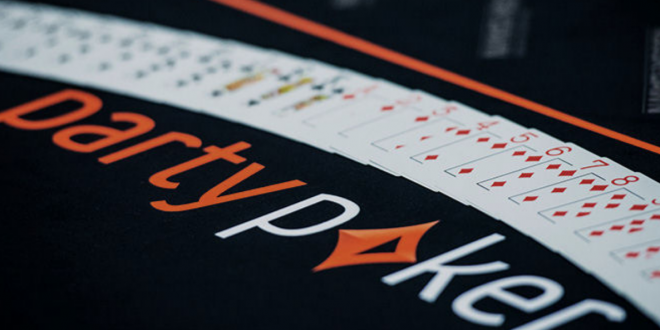 If you don’t have partypoker account yet, don’t forget to check the Welcome Package. For the minimal deposit ($10/10€) you will get 4x $5.50 satellite tickets. You will get those tickets right after deposit and you will be able to find them in the lobby under “Promotions” – “Tickets”. 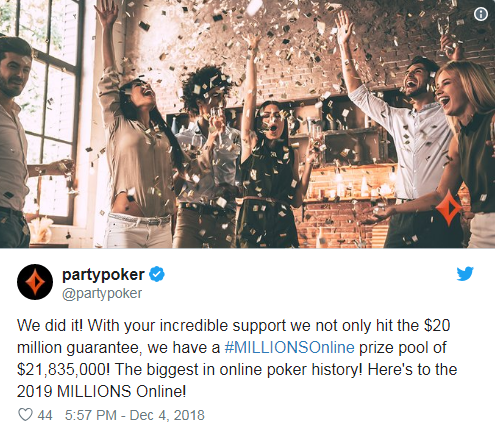 partypoker MILLIONS Online is writing new pages in the Online Poker History! On Tuesday morning another 490 players entered the fifth and the final day of MILLIONS Online. That means that the total prize pool is unbelievable $21.8 million! There were 4,367 entries who joined the $5,000 buy-in event. When the tournament ends. there will be 4 more millionaires in the world! However, there may be some overlay because many noted that there were certain overlays in the satellites for this huge event. Regardless that, this is a huge success for partypoker for sure! 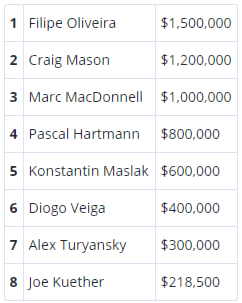 They managed to break the record held by PokerStars with 2010 WCOOP, which saw a prize pool of “only” $12.2 million. Join partypoker today and get $22 in tournament tickets for free with your first deposit!